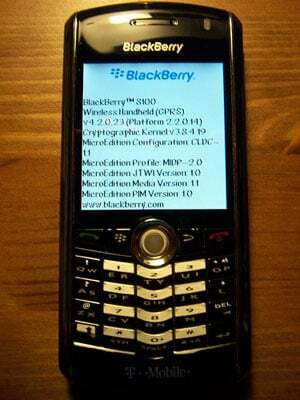 Pictures of Research in Motion's upcoming BlackBerry 8100 camera-equipped gadget popped up on a variety of websites this weekend following what appears to be a mass email-out by a lone leaker. The snaps show the GSM/GPRS/EDGE machine in its T-Mobile colours. You can find a few addition shots in Engadget's report.